Sonam Kapoor VS. Kangana Ranaut: Who Nailed Their Pero *Salwaar-Kameez* Better? We love a good fashion face-off. But then again, who doesn't? Especially when it is between two of Bollywood's reigning actresses - Sonam Kapoor Ahuja and Kangana Ranaut. ... and guess what? Her airport looked a little too familiar to us. Here's a reminder. Yes, Sonam Kapoor wore a Pero salwar-kameez, also in navy, a few days back for the special Dhadak screening in Mumbai. 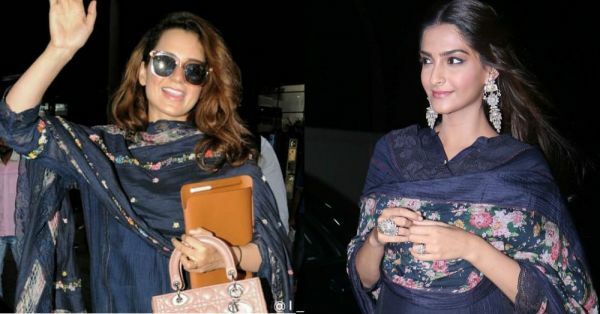 While both the actresses chose almost-the-same cotton silk salwar-kameez outfits from the same Indian designer, label Péro, we noted a few points of difference. 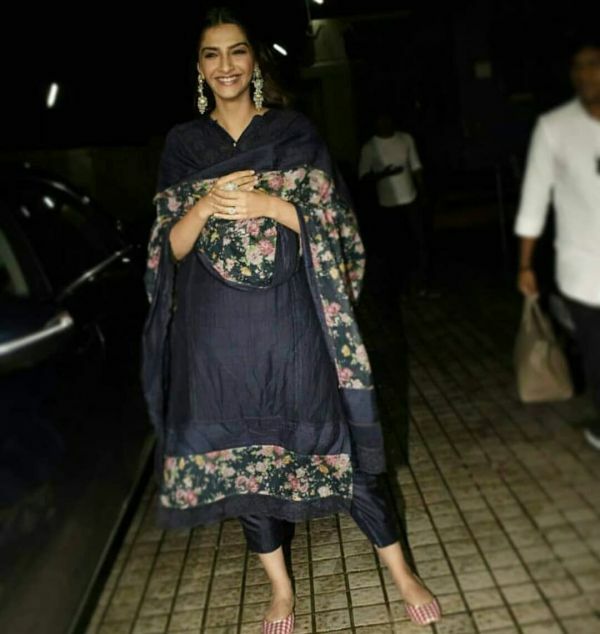 Sonam's dupatta and kurta both had bigger floral panels and she wore her ensemble with antique-looking statement earrings and gingham juttis. Kangana's kurta-salwar, on the other hand, featured Péro's signature hand-embroidered roses. Miss Ranaut accessorised with oversized sunnies, pink and ivory Needledust juttis and her baby pink Dior quilted bag to match. Although this salwar-kameez should be right up Sonam Kapoor's alley, we have to be honest. Kangana mixed it up with western accessories worked the desi look like a true Queen. Final verdict: for us, Kangana wins by a tiny margin. HBU?